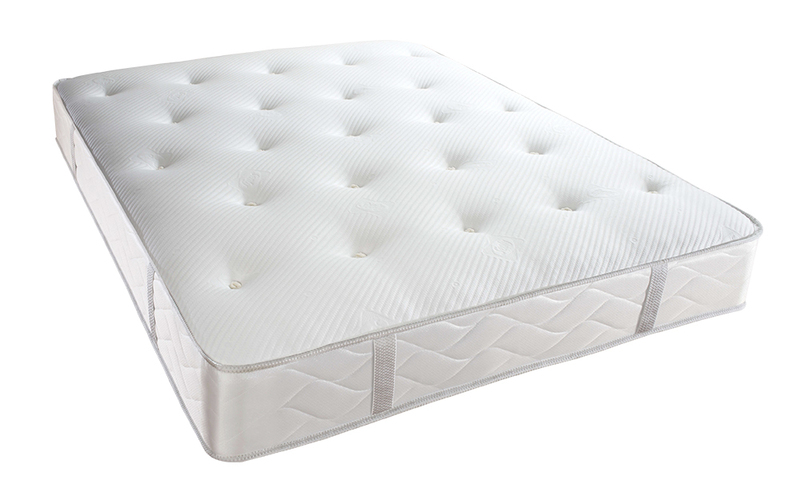 The Alderney 1000 Pocket Geltex Mattress by Sealy is a firmer, yet comfortable mattress featuring 1000 individual pocket springs for your benefit. The springs are zoned to provide targeted support to your hips, shoulders and back. Paired with a deep layer of pressure-relieving Geltex, your body will be perfectly cradled throughout the night. Geltex is highly breathable and provides superior temperature control, whilst the Smart Fibre cover is both moisture-wicking and hypoallergenic for a fresh sleeping environment. Order now and enjoy Free Next Day Delivery!